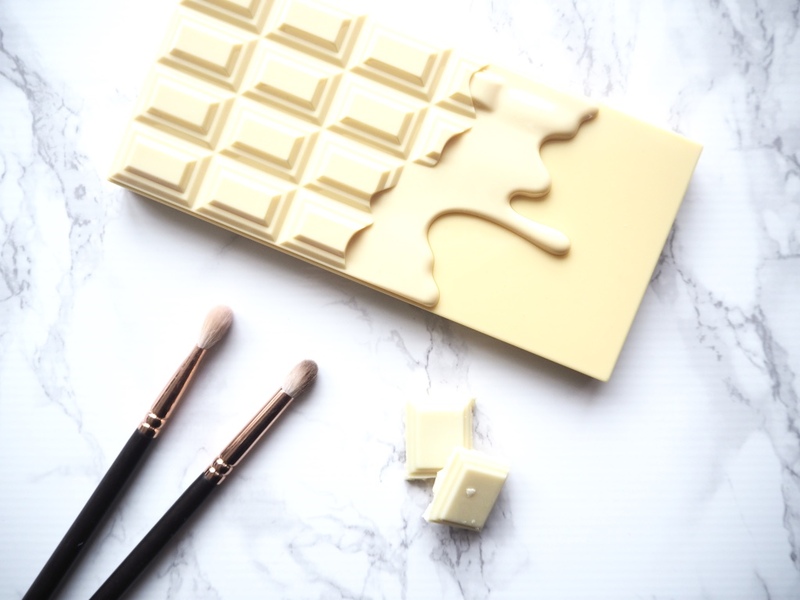 Okay so I may have a slight addiction to neutral colour palettes but who can resist white chocolate. I got this in the Superdrug 3 for 2 so it was effectively free but at £7.99 it really is great value for 16 shades. I'm always really impressed with Makeup Revolution palettes and i've previously blogger about their 32 shade Ultra Eyeshadow palette (here). 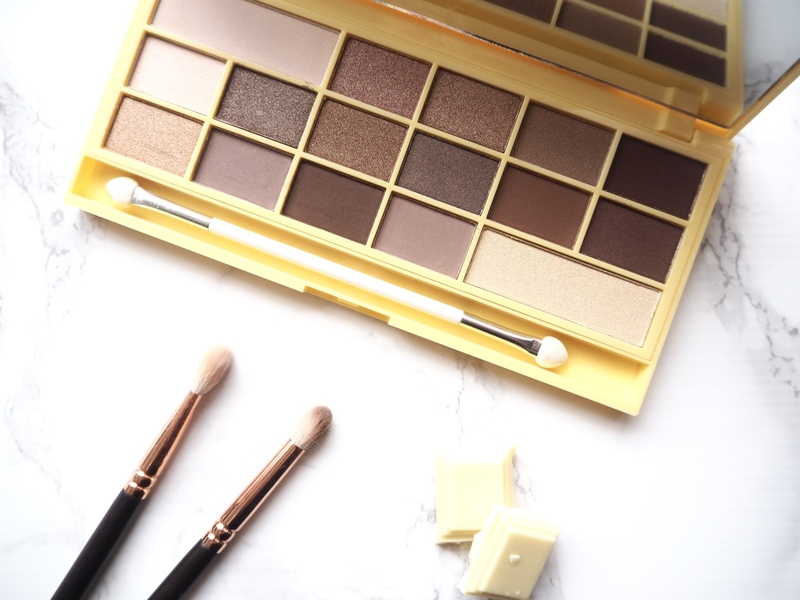 The I Heart Makeup Naked Chocolate Palette is the white version out of the collection of 6, which all take inspiration from the Too Faced Chocolate Bar Palettes. 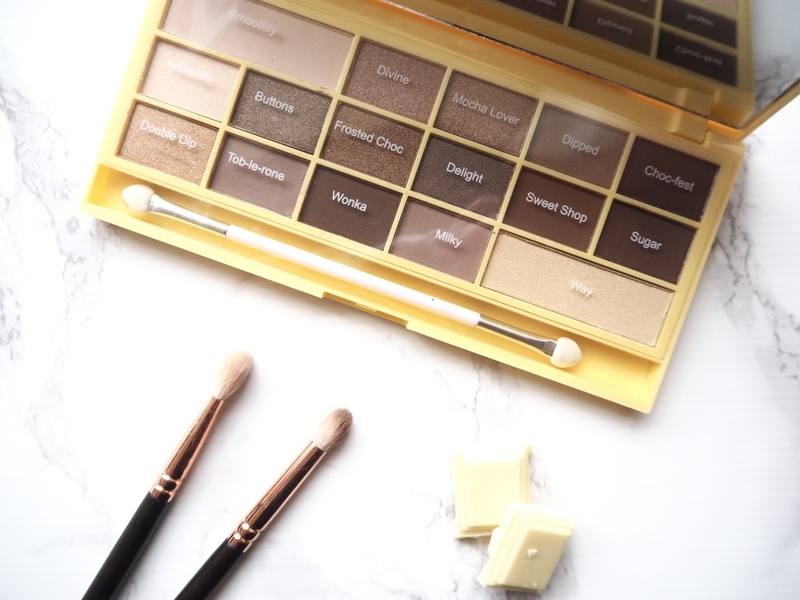 The shades range from creams, caramels, bronzes or chocolate shades with either a matte or shimmer finish. 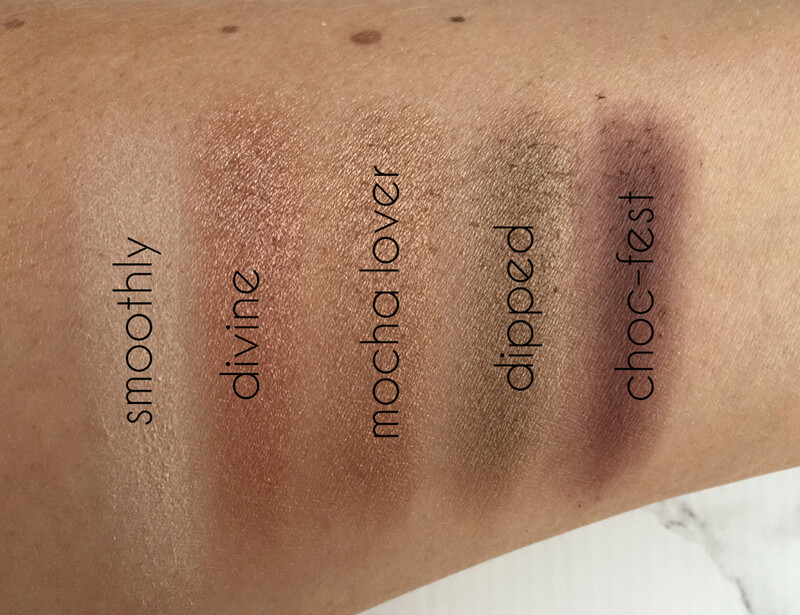 Like the Ultra Eyeshadow Palette the eyeshadows are rich and buttery, there is a little bit of fall out but nothing too major. The longevity of the shadows is great and has lasted me a long day at uni and into the evening. Some of my favourite shades are Divine a shimmery rose gold, Adorable is a lovely cream shimmer perfect for an inner corer highlight. 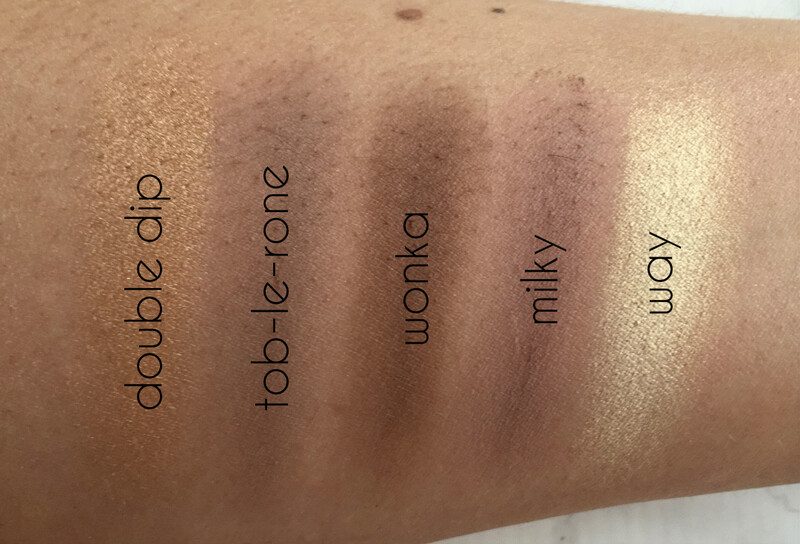 Frosted Choc is a shimmer copper shade and Sweet Shop is a earthy brown shade perfect for adding a bit of a shadow to the crease. 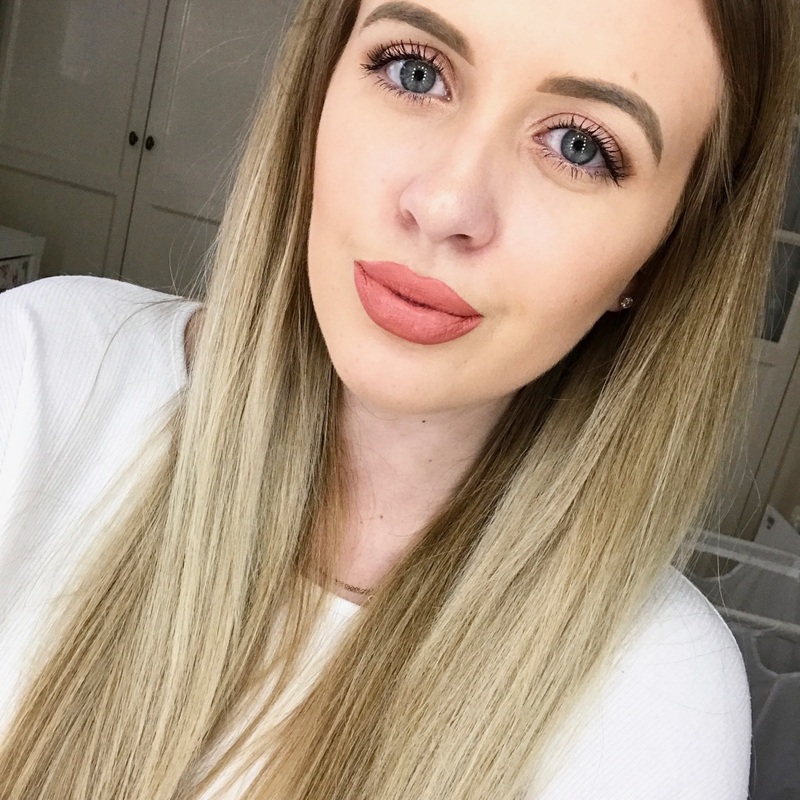 The other matte shades I'm loving are Tob-Le-Rone a matte taupe and Milky a purpley taupe shade. 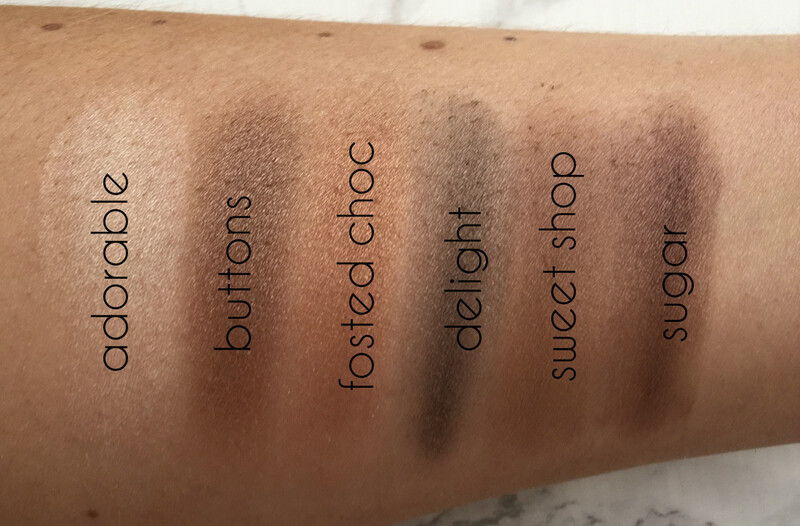 I've been loving the selection of shades in this palette and already eyeing up the other Chocolate palettes as they are such great quality for a small price tag. 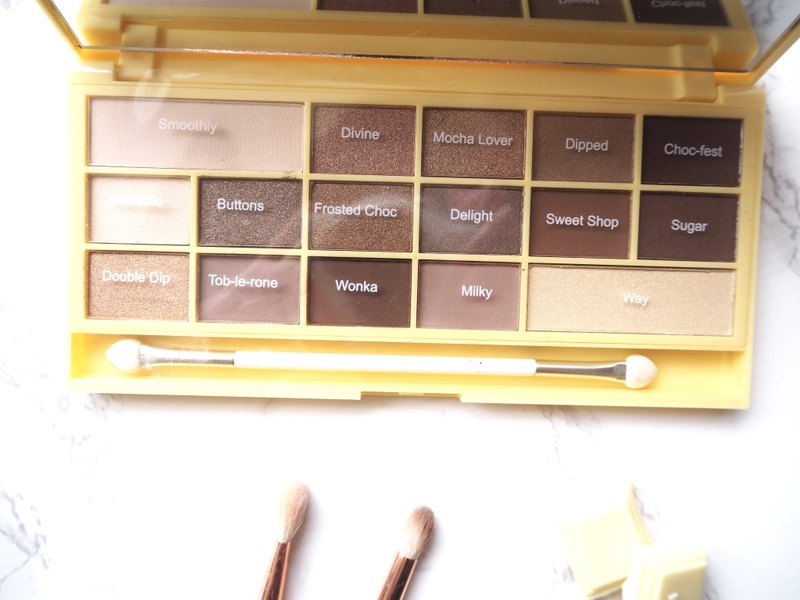 Will any of you be picking up this palette soon? This palette looks beautiful! I love neutral shadows. This is such a pretty neutral palette. The pigmentation looks amazing!